ChemiseWeb.com's wide range of shirts is a real success with many customers. Following this plebiscite, we decided to design large size polo shirts as well as large size shirts. So that we offer you a complete range now that goes from the shirt to the polo through the shirt short sleeves big size. The secret of a t-shirt large size lies in the fabric used as much as in the chopped off. Indeed, the line of large short sleeve shirts must be perfect, in order to fall perfectly. As for the fabric, our large t-shirts are always made of 100% cotton fabric, perfectly breathable. Doublissimo is a brand exclusively dedicated to men big and strong. 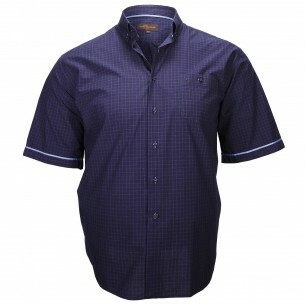 The collection includes a wide selection of men's shirts and large size polo shirts. - The choice: Not always easy to find a shirt that you like when you have a big size. To put fashion at the disposal of all, including large and strong men, Doublissimo offers a wide range of shirts big sizes classic or shirts big fashion sizes. Nearly 200 models of shirts big size are available on CHemiseWeb.com! 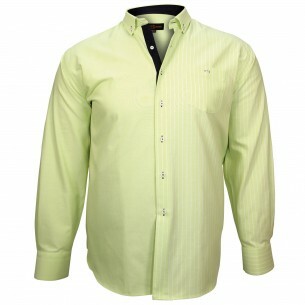 - Quality: High quality fabric, impeccable cut, attention to detail, Doublissimo offers you the best of the big size shirt. Because a beautiful shirt must also be a durable shirt, we promise to produce only shirts that are resistant and easy to maintain. - The price: Men shirts big sizes are often sold at prohibitive rates. With Doublissimo you have the assurance of finding a great size men's shirt at the right price. Because there is no reason to pay twice as much because you are tall and strong! All our shirts and large size polos are available from size 2XL to size 6XL.